Mitsuha and Taki are two total strangers living completely different lives. 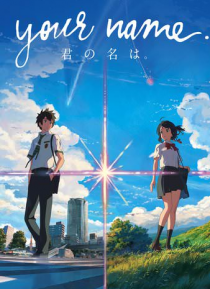 After making a wish, Mitsuha dreams she is a boy living in Tokyo while Taki dreams he is a girl from a rural town he's never been to. This bizarre connection--what does it mean?